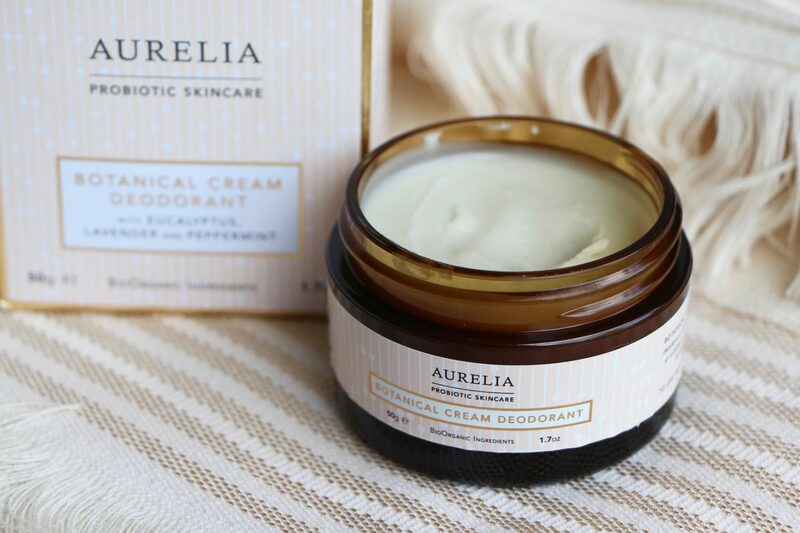 So: Aurelia’s Botanical Cream Deodorant. Note that this is a deodorant and not an anti-perspirant – anti-perspirants work by blocking pores so that sweat can’t come out. They help to keep you dry – no damp circles around your armpits. Deodorants work by masking the odour or neutralising the smell – you might still get a wet sensation, but (hopefully) not the BO. The pay-off with deodorants is that they don’t contain aluminium salts, which have been shown in some studies to be linked to health issues. The evidence isn’t entirely conclusive, but many people – quite understandably – prefer to play things safe and avoid products containing them. Which would be great if all deodorants worked as well as anti-perspirants, but sadly, from experience, many of them fall rather short of the mark. Some of them don’t even neutralise the odour – they’re just glorified body sprays marketed for the underarms. Perfume in a can. Anyway, to cut a long story short: hot weather, deodorant testing. I’ve always liked the Pitrok Crystal* – a simple, aluminium-free roll-on that’s inexpensive and reasonably effective. But I think that Aurelia’s Cream Deodorant may have pipped that one to the perspiration post. I’ve been using it for a couple of weeks, now, but I’ve been waiting for a good, hot day to properly road-test it. And I do declare that it does a great job at keeping armpits fresh and – surprisingly – dry. Most of the deodorants that I’ve tested (PitRok, Neal’s Yard Remedies, Australian Body Care and Vichy, to name a few) help with smell but not with wetness. The Botanical Cream Deodorant from Aurelia manages to stop odour developing and keep the skin dry – even an afternoon hill-climbing session with the double buggy failed to produce any real sweatiness. The Aurelia deodorant contains arrowroot and kaolin (clay) to absorb moisture, but it also has moisturisers and essential oils to give it a zingy fragrance. It smells a bit like Liz Earle’s Cleanse and Polish – that minty, eucalyptus sort of smell. Not my first choice for armpits, but it’s actually rather nice when the heat is on – it seems fresh and clean. You can find the Aurelia Botanical Cream Deodorant online at Cult Beauty here* and LookFantastic here*.